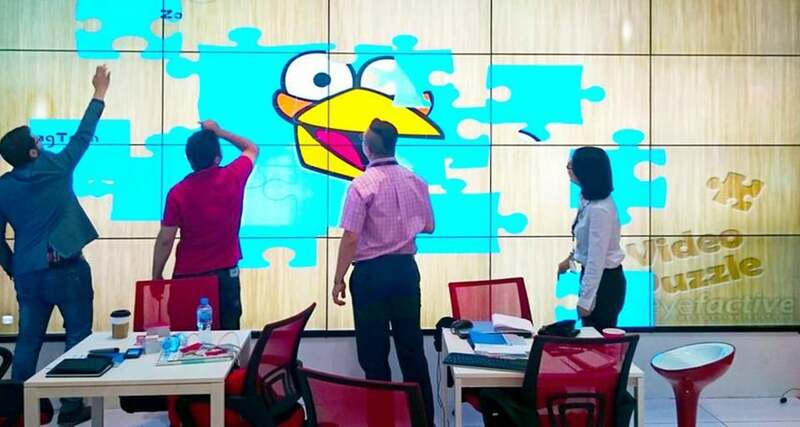 Large-Scale Multi Touch Screen Videowalls with High Resolution and Premium IR Multitouch Sensor for Effective Interactive Digital Signage. Buy or Rent Here. For permanent installations or temporary trade shows & events. We offer free and non-binding consultation. 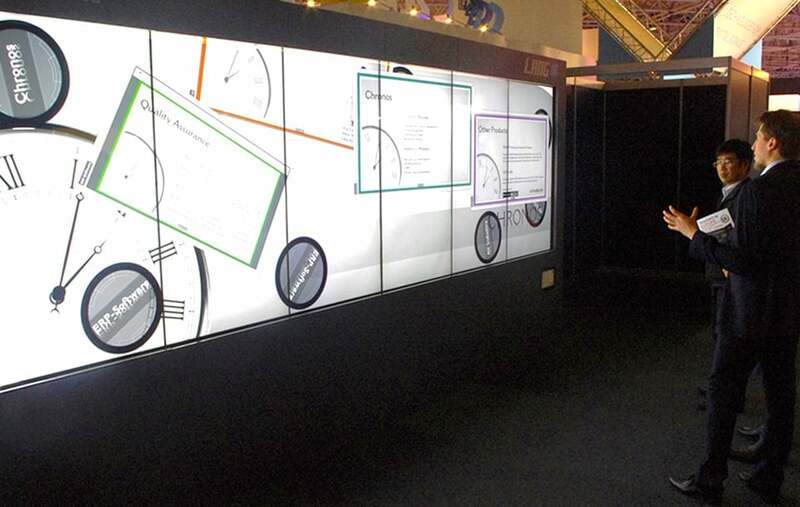 Combine single displays to create a large-scale touch screen wall. A premium IR touch-frame facilitates the multiuser interaction for several people. A special multimedia PC is required for extremely high resolutions. Up to 32 touch points for true multiuser applications. Minimal gaps for a seamless full screen. 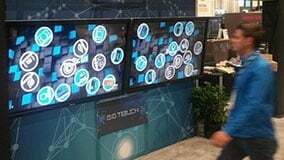 Complete solution from one hand: Expand your touch screen video wall with various accessories like mounting devices, software or innovative technologies and add-ons. 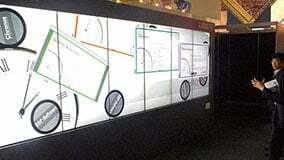 Combine individual displays to larger video walls. Recognize any physical object on the display. Simply download via eyefactive's AppStore. E.g. scanner for QR, NFC & RFID, audio system, flightcase. Please click on the thumbnail images to open a larger version. 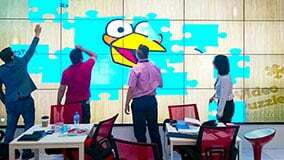 Why interactive Multitouch video walls? With giant interactive Multitouch video walls you achieve a maximum long distance effect and provide a wow factor on site. 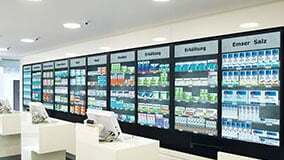 Offer exciting interactive experiences at the point of sale, trade fairs and events. Get maximum attention for your brands, products and services. Combine information with interactive infotainment to convey the desired content effectively. Users can interactively call up information at any time. Utilize the possibilities of innovative multiuser applications on large touch screens for collaborative and creative teamwork with several users simultaneously. Get started right away: The touch screen content management software AppSuite is preinstalled on your mediaplayer. New apps and updates can be conveniently downloaded from eyefactive's online AppStore for customizable touch screen software. 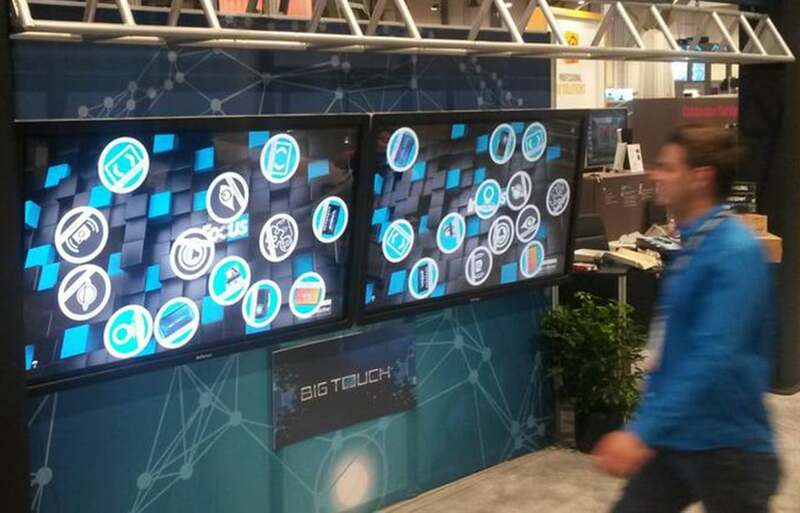 You can buy or rent multitouch video walls for permanent installations or temporary trade shows. 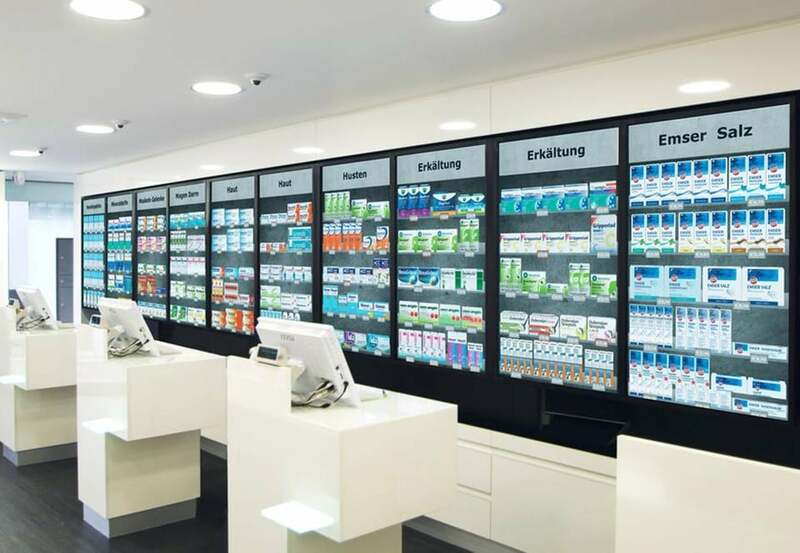 We are pleased to support you with free, non-binding consultation and an individual offer - for your successful interactive digital signage project.